A trebuchet is a type of catapult that uses a swinging arm to throw a projectile. At 7740 S. Western Ave, those projectiles are simply tennis balls, instead of the more dangerous projectiles you might see on the battlefield in centuries long ago. 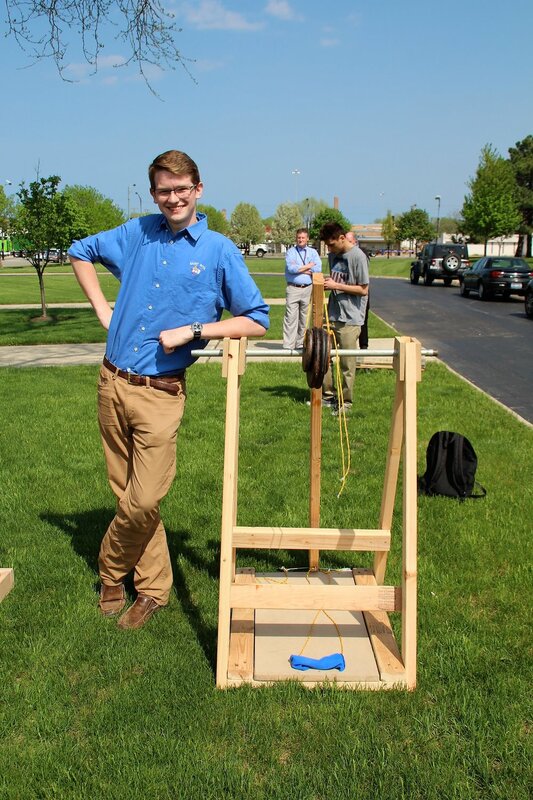 St. Rita High School’s senior engineering class could tell you much more about trebuchets, as they recently built their own from scratch in preparation of the annual trebuchet competition. The spring weather could not have been more perfect on the afternoon of Thursday, May 10 for the competition on St. Rita’s expansive North Lawn, tucked along stretch of tidy Queen Anne-Style and Georgian houses. Eight teams formed from Matt Petrich’s engineering class gathered for the competition. Several faculty and staff members were also on hand to watch the competition and cheer on the student engineers. Teams were given one practice shot. After the practice shot they were able to place a small target on the ground anywhere from 30-60 feet from the catapult. Once the target was in place teams tried to hit the target. They were given two more shots. The team coming closest to the small target on one of their tries was to be the winner. 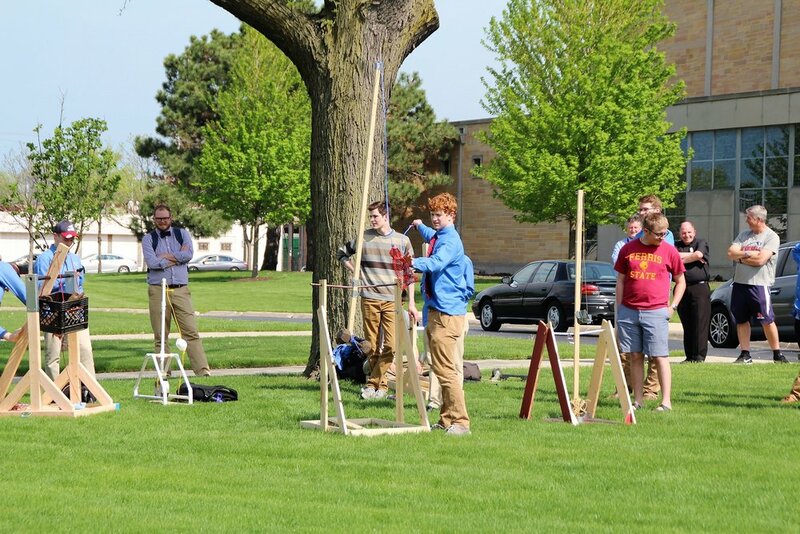 All the students successfully completed their trebuchet projects and competition, and certainly had fun during the process. They even named their trebuchets. In second place was the “TrebuBeast” team formed by Mike Mitchell, Tyler Cichy and Dave Gleaves. The first place team was “iMacBeth” built by Ozzie Gutierrez, Tyler Franco, and Ryan Caufield. The Class of 2019 is already looking forward to next year's competition!